Photos from last week's garden party are now on here. Go to "Garden Party" tab to view. It was a very successful day and we hope all our members and guests who attended had an enjoyable day. See you all again next year. Weather permitting we will be outside, otherwise we will use the hall. As usual there will be the BBQ, Games, Raffle, Merchandise stall and the Fancy Dress competition. We look forward to seeing our members and their friends and family and anyone who is interested in our breed. The Griffon Bruxellois Club will be manning a breed booth at the London Pet showing being held at Earls Court on 17th and 18th May. If you are interested in the breed, do come along and see us there. We have two neutered male Griffons in need of a new loving home. Please go to our rescue page for more details. Members subscriptions are due on 1st January 2014. Subscription forms are included in the December bulletin. Alternatively, a subscription form can be printed from this website (see membership page). Overseas members can pay via bank transfer. Details are in the December bulletin or contact the Secretary or Treasurer for details. 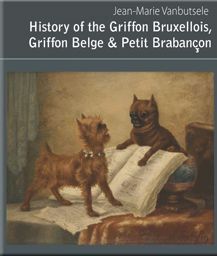 The Griffon Bruxellois Club will be updating their judges lists for 2014 at the end of November. If you wish to apply to go onto the list please send your judges CV to the Secretary, John Swinge, 7 Mayfield Ave, Hullbridge, Hockley, Essex SS5 6JQ or email Balthazar.k9@gmail.com. We would also appreciate updates from judges currently on the B & C lists too. An afternoon of fun with fellow griffon owners. We will have our breed stand at Crufts as usual. Do come along and say hello.